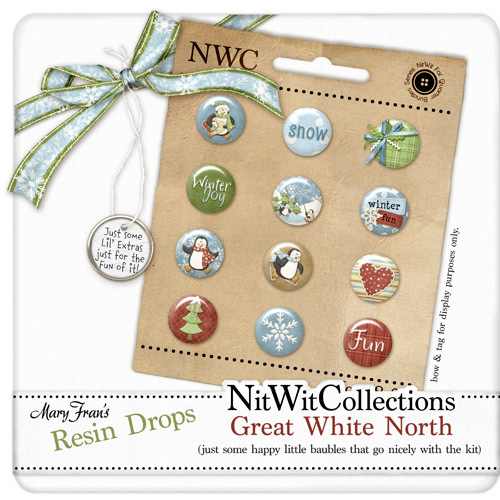 Here are some "Resin Drops" that are great little additions to my "Great White North" Fat Quarter Bundle kit. Yup, just some lil' somethin's to add to your layouts!! 12 Darling little resin drops to add some sparkle to your pages!